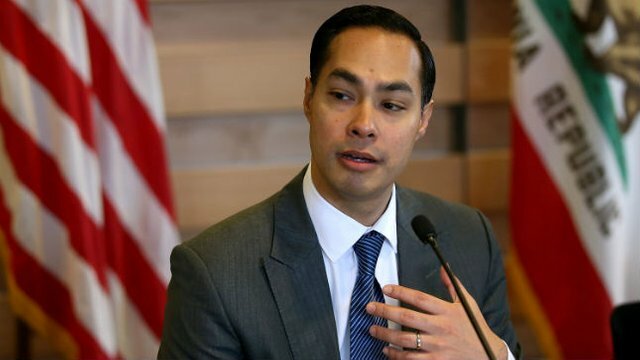 Free Beacon: Democratic candidate for president Julian Castro said on CNN’s “State of the Union” Sunday that a wall would change the notion of America from being welcoming to walling itself off to the rest of the world. “But I believe fundamentally that if we were to build that wall, that it would change the notion of America from the Statue of Liberty that stands for freedom and welcomes immigrants to a country that literally walls itself off from the rest of the world,” Castro said. For over a month, President Donald Trump and Congress were in a standoff over funding for Trump’s proposed wall along the southern border. The standoff resulted in a partial government shutdown which reopened on Friday after Trump announced a deal that would fund the government for three weeks while him and Congress work on a deal pertaining to border security. Tapper followed up asking Castro about the existing fencing along the border. “If there are already 654 miles of barrier fencing, wall, why would adding 100 miles more change the notion of this nation any more than … We already have that. Why would adding any more change who we are?” Tapper asked. He went on to concede that some physical barriers are necessary along the border. “The other argument that people have made that I believe is true is that we’ve addressed where we might, where you might argue that, OK, you need a physical structure, a physical barrier. That was addressed in those 654 miles. and that’s not the case for the rest,” Castro said. Word is that the ranchers along the border are carrying rifles. Change the what??? 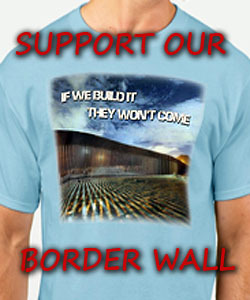 well, it’s about time ….we are tired of paying for the care-less of the world …PLEASE let’s take care of our own … BUILD THE WALL !!!! this BEAN EATING SOB IS JUST ANOTHER LAWLESS COMMUNIST DEMORAT TRAITOR. i still say we have a WAR COMING, hell it CAN’T MISS WITH ALL THOSE TRAITORS. Just another Liberal Soros supported Globalist Idiot with out any class or respect for the Founding Fathers and their goals! The Statue of Liberty doesn’t say you come in free, there are rules and they need to be followed. My grandparents immigrated to the USA through Ellis Island. They had to have some money, speak some English, have a trade, and have a sponsor before they would even be considered, and then agree to assimilate and become a citizen of the USA before any entry into the USA would be even voted on or granted!!!! The damned DemocRAT’s have screwed up everything in the name of greed and the almighty dollar plus total control of our government.